At the start of the Soviet Union, all things that were seen as tools of capitalism were renounced; this included competitive sports. Therefore, the Soviet Union refused to participate in the international Olympic Games. However, by the 1930s the Soviet Union began to take a different stance concerning competitive sport. The USSR saw the Olympics as a means to display Soviet power. 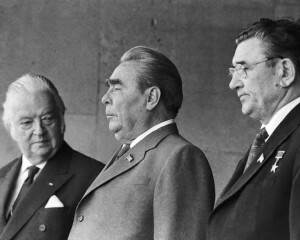 The Games provided an opportunity to show the dominance of the Soviet Union to the world, as well as to their own people. Due to World War II, the Soviet Union did not join the Olympic Games until 1952. The Olympic Games are not just a series of competitions that bring the nations of the world together; there is more that goes into the Games. For instance, politics play an influential factor when it comes to the Olympics. Therefore, the evolving political scene in the Soviet Union from the 1950s to the fall of the USSR can be traced through the Olympics. The Olympics not only display the political setting inside the Soviet Union, but also how foreign relations evolved between the USSR and the other nations of the world. This page provides documents, interviews, and presentations that trace the Soviet Union’s involvement in the Olympic Games from beginning to end. It is structured chronologically, with certain important events specifically noted. 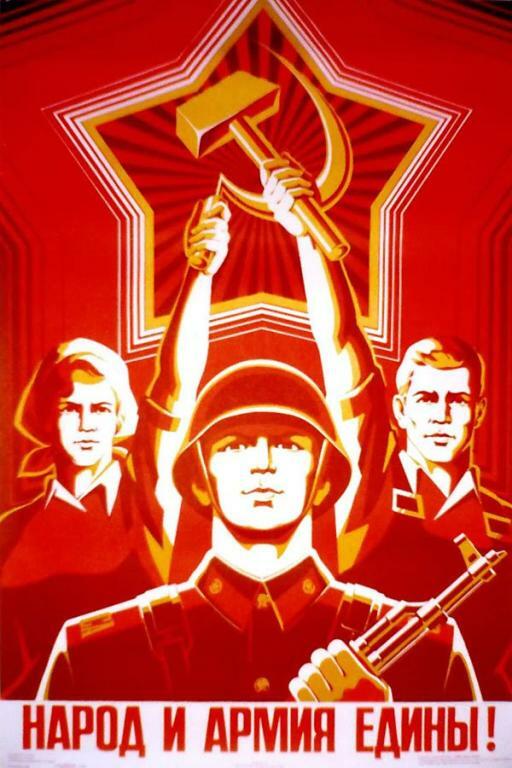 Following the Bolshevik Revolution, the new Soviet Union refused to participate in the International Olympic Games. Modern sports were viewed as elitist and proponents of western capitalism. Sport was changed domestically and internationally in the Soviet Union. In the early 1920s the Red Sport International was in charge of spreading revolutionary ideals through sport, particularly collectivism. Keys, Barbara. 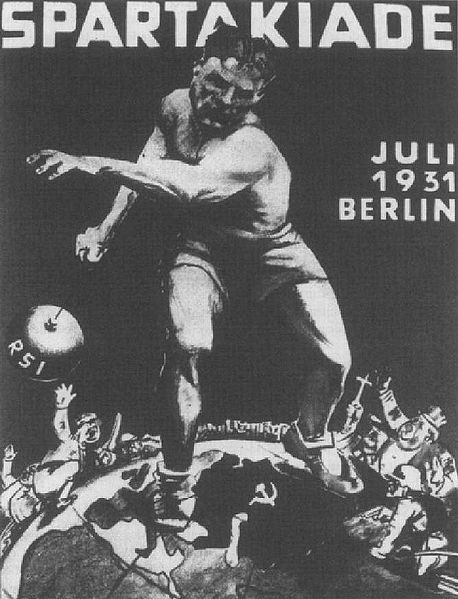 “Soviet Sport and Transnational Mass Culture in the 1930s.” Journal of Contemporary History. 38. no. 3 (2003): 413-434. 10.2307/3180645 (accessed April 7, 2013). 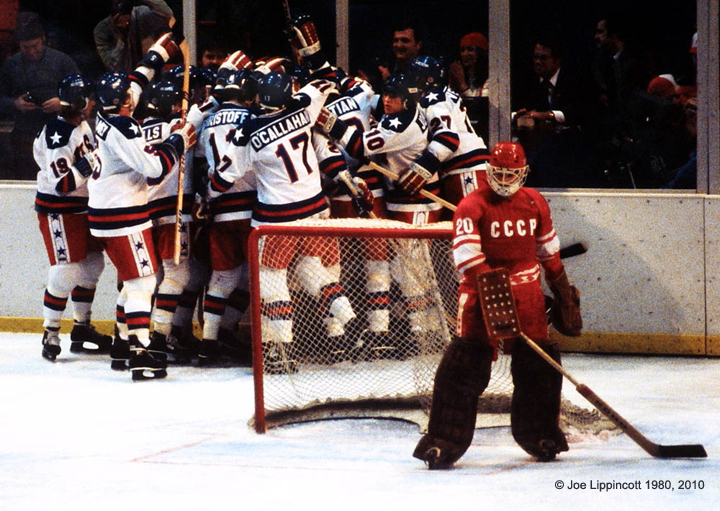 Keys’ article addresses the USSR’s choice to stay away from competitive sporting events. She does a good job explaining why that is, and then what changed Soviet policy. She explains why the 1930s were a time of cultural and political shifts in the Soviet Union. In the 1930s things began to change. 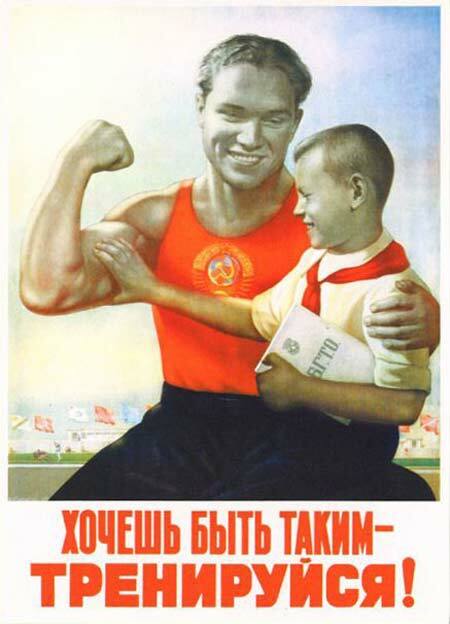 Sports in the Soviet Union became a tool to display the power of the Soviet Union. 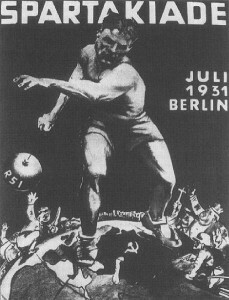 The emphasis on disengagement from mainstream western sport underwent a dramatic transformation beginning in 1930, as the main aim of Soviet inter- national sports contacts shifted from revolutionary agitation within an inde- pendent sports system to results-oriented competition within the western sports system.21 Frustrated by the weakness of the communist sports move- ment and impressed with the growing power of mainstream sport, the regime came to see western international sport as a useful means of reaching large numbers of foreign workers and of impressing foreign governments with Soviet strength. The Sportintern, cut off from contacts with socialist clubs as a result of a disastrous policy of confrontation, moved to increase its influence in Europe by devoting more attention to the large numbers of workers in non- workers’ organizations.22 By 1933, the Physical Culture Council was debating whether to offer general sanction to competitions between Soviet athletes and athletes from non-workers’ clubs. Official hostility toward the western model of competitive, achievement- oriented sport was reversed. To read the whole script, click here. “Politics and the Olympics.” Council on Foreign Relations. Council on Foreign Relations. Web, http://www.cfr.org/africa/politics-olympics/p16366. The Soviet Union entered the Olympics for the first time in 1952. Click here to go to an interactive slide show, and find the year 1952 to hear more about those specific games. This slide show is very helpful in answering what happened each year of the Olympics and why it is important. This source provides good information and is effective in linking politics with the games. “1972 Olimpic gold Medal Basketball issues and What Happened to the Medals.” NBC. Web, http://www.youtube.com/watch?v=RwZuPi4cbyg&feature=youtube_gdata_player. In 1972, the rivalry between the USSR and the US was extremely high. By this point, the games were used as a tool of politics; a means of displaying dominance to the world. 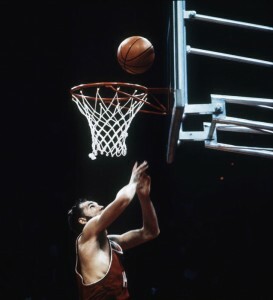 The US was a powerhouse in Basketball, yet in the 1972 games the USSR upset that reputation. This was viewed as a great feat inside the Soviet Union, and proved their power. However, the rest of the world, especially the US, questioned the integrity of the game’s officials. Click here to watch a report concerning the game that cause greater tensions between the two Superpowers. This video recording is a good source to see the issues that came up during the 1972 Basketball game. It focuses on the point of view from the Americans. It contains interviews with the players years after the game took place, as well as live footage of the event itself. Abelson, Donald. “Politics on Ice: The United States, the Soviet Union, and a Hockey Game in Lake Placid.” Candian Review of American Studies. no. 1 (2010): 63-94. http://muse.jhu.edu/journals/canadian_review_of_american_studies/v040/40.1.abelson.html (accessed April 7, 2013). 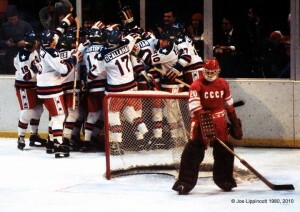 In the 1980 Winter Olympics the US hockey team upset the Soviets at Lake Placid, taking home the gold. Abelson’s article discusses how the victory on ice extended into the political scene. His article does a good job of explaining the situation that led up to the games and then the reactions of the two Superpowers. Following the USSR’s invasion of Afghanistan, Jimmy Carter, the President of the United States, ordered the US to boycott the Olympic games held in Moscow. He invited a number of ally nations to join in the boycott. The Soviet Union was devastated by the small turn out for the prestigious games. Click here to listen to President Carter’s call for a boycott of the 1980 Summer Olympics. Guttmann, Allen. “The Cold War and the Olympics.” International Journal. 43. no. 4 (1988): 563-564. 10.2307/40202563 (accessed April 7, 2013). In some ways, the Soviet response was the most interesting. ‘From the outset the SovietUnion refused to accept the fact that the boycott was a reaction to the invasion of Afghanistan.’16 Among the explanations it offered instead were: that President Carter needed something to salvage his sinking popularity in an election year; that nato militarists wished to diminish the chances of peaceful co-existence; and that the Americans were unable to contemplate the thought of Moscow’s success as Olym- pic host. 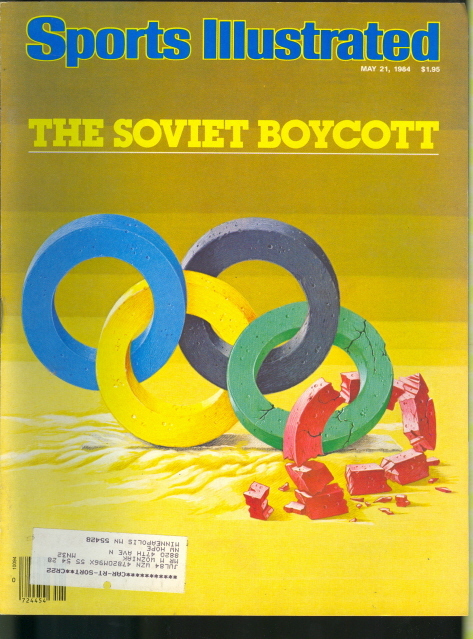 While Tass announced that the boycott violated the Olympic Charter, the Helsinki accords, the United Nations Charter, and the Amateur Sport Bill of 8 November 1978, Sovetsky Sport explained that the boycott was contrary to the United States constitution. The reasons set out by Carter went unmentioned. Although the Soviet Union and its allies minimized the impact of the boycott and the protests made at the games, where many nations eschewed national flags and anthems and availed them- selves of Olympic symbolism, Moscow proclaimed the 1980 games the most glorious of all. Despite the brave words, it was obvious to everyone that the games were seriously diminished by the absence of the American, Canadian, German, and Japanese teams. David Kanin’s assessment is probably sound: ‘The ussr lost a significant amount of international legitimacy on the Olympic question. Guttmann’s article does a very good job of showing the transition of Soviet policy concerning sports from the 1920s to the 1980s. He explains why these changes took place and he examines the effects it had on Soviet culture. He discusses certain events that occurred in the Olympics, particularly between the Soviet Union and the United States. 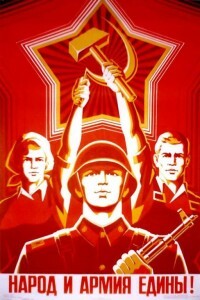 History Channel, “Soviets announce boycott of 1984 Olympics- History.com This Day in History.” Accessed April 7, 2013. http://www.history.com/this-day-in-history/soviets-announce-boycott-of-1984-olympics. The short article from the History channel gives an explanation of the why the USSR boycotted the Summer Olympics in 1984. It is effective in giving a short synopsis of the time period and how the Olympic games were once again used as a tool of politics. Click here to see this page.